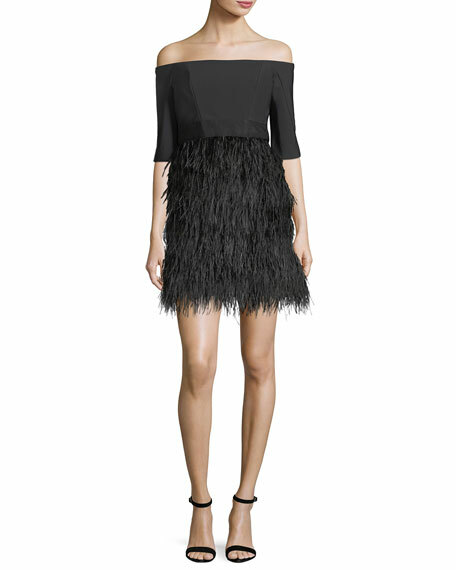 Milly "Tina" cocktail dress in tech-stretch with ostrich feathers. Banded waist with back bow detail. For in-store inquiries, use sku #2298078.